The elections are over. Developers are rushing into council to lodge their plans. Some of the plans are distressingly crass and damaging to the heritage values of the town. A significant focus of the plans appears to be: more alcohol. Members are asked to take note of the following, and to be involved in putting their opinions forward. The Fremantle Society is in the process of writing submissions. The developer and architect of the Hougoumont Hotel in Bannister Street has submitted this application. While the Hougoumont gets great reviews, it is a very modern experience more akin to staying in a shipping container than a heritage building. It has been granted approval for 5 storeys for its next stage, possibly a technically illegal approval given the rules for the West End. If members examine the plans submitted for these terrace cottages, which are of national significance and the ONLY properties in the whole of Western Australia outside the prison to be on the Federal Heritage list, they may find the plans swamping the original cottages and their backyards with the added infrastructure. A huge focus is alcohol – it’s an 11 room boutique hotel catering for up to 475 drinkers. No wonder there have been 15 submissions already from concerned residents who have just bought next door in the other 6 Henderson Street cottages, and others. You are asked to comment on a review of the Municipal Heritage Inventory. See document online. The Fremantle Society broke the story that Gerard O’Brien of Silverleaf was going to buy all 26 shops in the Manning Estate that wraps around from William Street, through the mall and into Market Street. He has now submitted plans to ‘revitalise’ them by turning them into: a brewery. He also wants to ‘modernise’ and open up the interiors and thus remove a reason people like coming to Fremantle – it has small individual shops with character. 10 metres away across the Mall lies the Atwell Arcade project done by Gerard O’Brien of Silverleaf. The mayor granted him a special council meeting for this development on the basis that a) a new national chain would be brought to Fremantle (it wasn’t) b) 300 new workers would be brought to Fremantle (they weren’t) and c) the building and shopfronts would be restored (they haven’t been). There will be a public information session on November 16 at 5.30pm at Council. The Fremantle Society position is that King’s Square is important as the only town square in Western Australia and that it should be a dignified open civic space, not a cluttered entertainment zone. The proposed high rise soars 50% higher than the 10 storeyed Johnston Court, whose height in the middle of town we were promised would never be repeated. To achieve this height the design MUST show ‘exceptional quality’. Council will say that the determining authority is JDAP (Joint Development Assessment Panels) but the reality is that what council writes and thinks is crucial to getting a good outcome. When the initial plans for a new Queensgate also had to pass the test of demonstrating ‘exceptional quality’, the mayor argued that the view from the top would be so good that he would be voting that that was enough to demonstrate the requirement. Hopefully, council will debate this one a bit harder that that. Gerard O’Brien of Silverleaf has submitted plans for a 6 storey hotel and bars in one of the most significant heritage precincts in Western Australia. which covers the 7,700 sq m court house and police station complex and the adjacent warders’ cottages (the latter bought for the bargain price of $1.7 million). The Fremantle Society will study the plans, which seem at first glance to be remarkably insensitive to what is a dignified and important set of colonial buildings, some (the terrace houses) being of national significance. These buildings are in the buffer zone of the World Heritage Listed Fremantle Prison for good reason, and any development in the buffer zone must not impact negatively on the setting of the prison. Public information session 30 November 5.30pm at Fremantle Council. 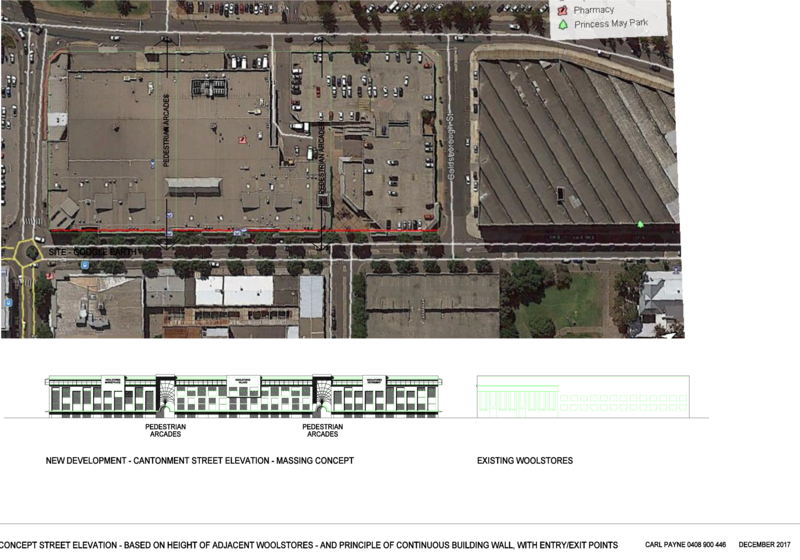 Notre Dame announced today it has purchased the massive Customs Buildings fronting Henry, Phillimore, and Pakenham Streets.